While you are here, why not sign up for our Free Report and Powerlines, our free email newsletter? Just fill out the form below. Also, check out our videos on YouTube and our Facebook Live video streams. You can access them through the menus on this site. Often We Can Help When No One Else Can. Welcome to our practice website. Medical Hypnotism is the use of scientific hypnotism to help with issues related to health and well-being, including oncology, weight control and the enhancement of natural fertility. Dr. Giles is internationally known for this work. Often Dr. Giles will add Life Coaching to his work to help a client examine larger issues, such as life goals and purpose. Reiki is a practice that heals and strengthens the energy systems of your mind and body to improve how you feel and behave. Many people find it a useful supplement to Medical Hypnotism. Dr. Bates calls her approach LifeWays Reiki. As you will see by looking at the verified client reviews on this website, we have a long history of success. The first step is to schedule a no obligation free phone consultation where we will discuss what will work best for you. 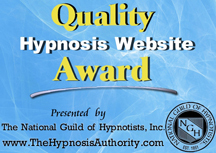 Just click on the Book Now Button below and select Free Phone Meeting from the HypnoCoaching menu. The system will guide you to select a convenient time for a conversation. You are welcome to call or email us directly with any questions. Dr. Giles can be reached at cgcsgiles@gmail.com or (630) 668-1141 and Dr. Bates can be reached at revlindsaybates@gmail.com or (630) 464-1668. Request our Free Report, Take Control of Your Life with the Power of Your Mind. and Powerlines, our free newsletter. Your information will never be shared or sold. Our newsletter uses Constant Contact which complies with all relevant privacy laws. You can unsubscribe at any time. Thank you! Expect a confirming email from us shortly. The triple bar in the upper left corner displays the main menu. The envelope icon on the upper right corner allows you to easily email me. My site automatically reformats itself for best viewing on a computer, laptop, smartphone or tablet. HeartMath is a registered trademark of the Institute of HeartMath.